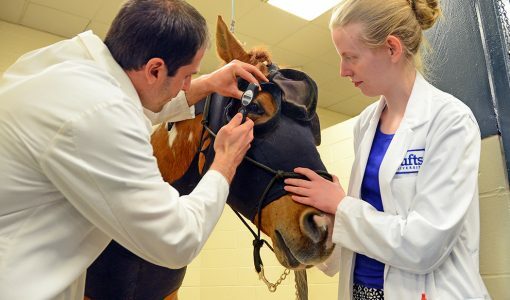 Equine recurrent uveitis (ERU) is sometimes called “moon blindness.” Up to 25% of horses in the US may suffer from this condition, which can lead to blindness or even loss of the eyes. Uveitis is the term we use to describe inflammation inside the eye. As the name suggests, ERU is a condition in which this inflammation recurs at regular intervals. Bouts of inflammation are painful and can lead to cataracts, glaucoma, retinal detachment, and other types of damage to the eyes. The causes of ERU are not well understood. 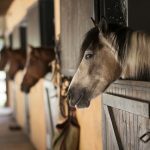 Genetics likely play a role, as specific types of horses, like Appaloosas and warmbloods, seem to be affected more than other horses. 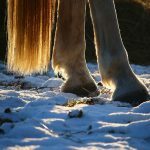 Leptospirosis infection may also serve as a trigger for disease in some horses. In general, we consider ERU to be an auto-immune or immune-mediated disease, in which the body’s own immune system attacks the tissues of the eye. Board-certified veterinary ophthalmologists can work with your veterinarian to manage difficult cases and to treat complications of ERU. ERU can range from a mild annoyance to a painful, life-altering disease. In one recent study done at the North Carolina State University veterinary school, it was found that almost half of eyes diagnosed with ERU lost vision. 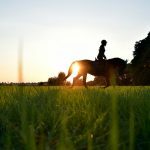 Over 60% of horses in that study were either retired or could not return to their previous level of function due to ERU. ERU is treated with anti-inflammatory eye drops and ointments and sometimes also with systemic anti-inflammatory medications like Banamine. Most equine veterinarians are very skilled at diagnosing and treating ERU and can help horse owners with flare-ups. However, every time a horse has an ERU episode, s/he must be taken out of work, and veterinary care and medicine costs may start to add up. More importantly, with each episode, more damage is done to the eyes. Board-certified veterinary ophthalmologists can work with your veterinarian to manage difficult cases and to treat complications of ERU. 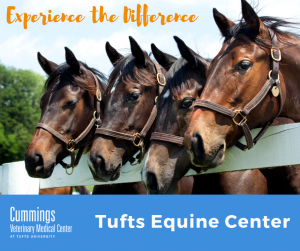 Ophthalmologists who perform surgery on horses, as we do at Tufts Hospital for Large Animals, also offer a surgical procedure to decrease a horse’s need for medications and minimize the number of ERU flare-ups in the future. In this procedure, an implant containing cyclosporine (an immunomodulatory drug) is inserted between the layers of the eyeball. Studies have shown that most horses who receive a cyclosporine implant have significantly fewer ERU episodes requiring treatment. 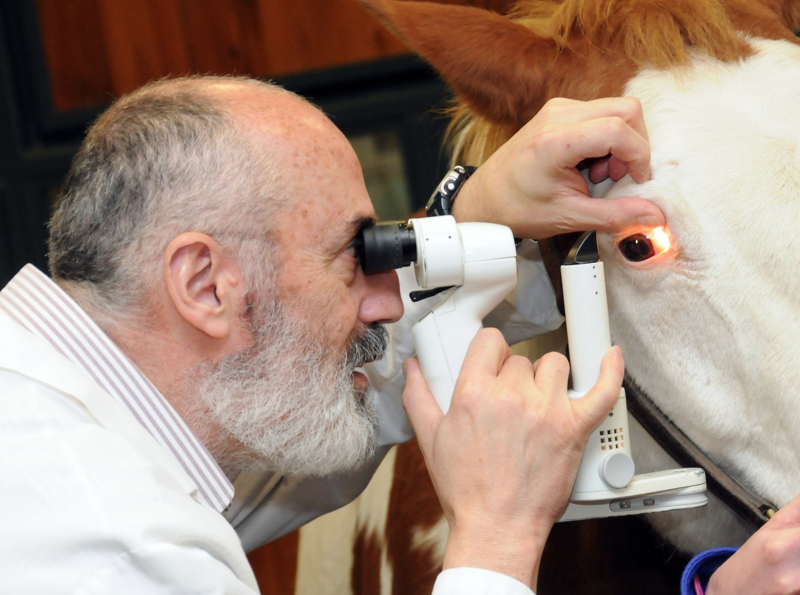 80% of horses in the largest study done so far retained vision after a cyclosporine implant, some of them for as many as 7 years after surgery. Not all horses are good candidates for surgery. 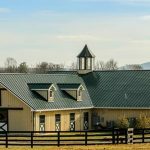 If your horse has ERU and you are interested in learning about your options, talk to your veterinarian about whether your horse may be a good candidate for referral.